In modern society educational movies are not a gaping-stock. It is possible to learn watching a lot from a good educational movie. Some people acquire new information better when seeing and listening rather than simply by reading. That is why many educational tutorials are very popular nowadays. Besides, you may watch how to perform different moves and the best way to behave at the table - that may be very important for those who play at traditional casinos. 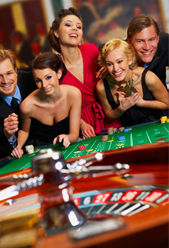 Modern casino players want to be successful and master their skills in all possible ways. 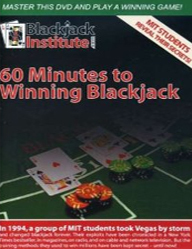 Blackjack players are lucky as there are a great variety of blackjack books and educational movies to learn from. Why blackjack is so popular even in the books and movies? 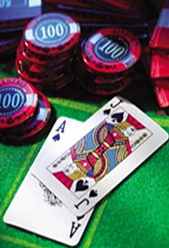 Players can play successfully blackjack card game only after learning rules and basic blackjack strategy as the game is really complicated. 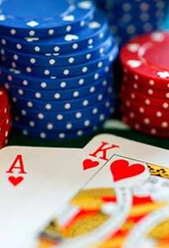 These two steps are crucial but still there are more additional pieces of advice to increase the blackjack odds. Educational movies on blackjack may extremely increase the chances for winning as they provide players with useful and helpful information. Tips for playing blackjack with the explanation of player's hands are presented in the movie. The peculiar feature of this movie is that Frank Scoblete himself describes his winning strategies. This movie is highly popular among blackjack players as they strategies and useful tips are given. Moreover, when watching it, players can practice them. 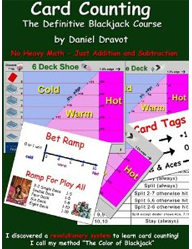 The beginners will definitely love this film as it explains in plain language all existing card counting systems and they ways how to use them on practice.